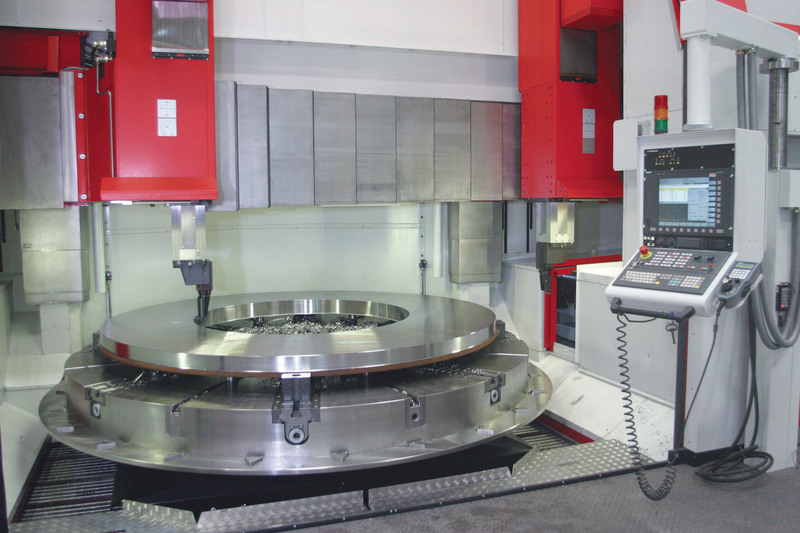 The POWERTURN vertical turning and boring lathe is designed for use in general machining and production environments. The POWERTUN is the most flexible VTL TOSHULIN builds. 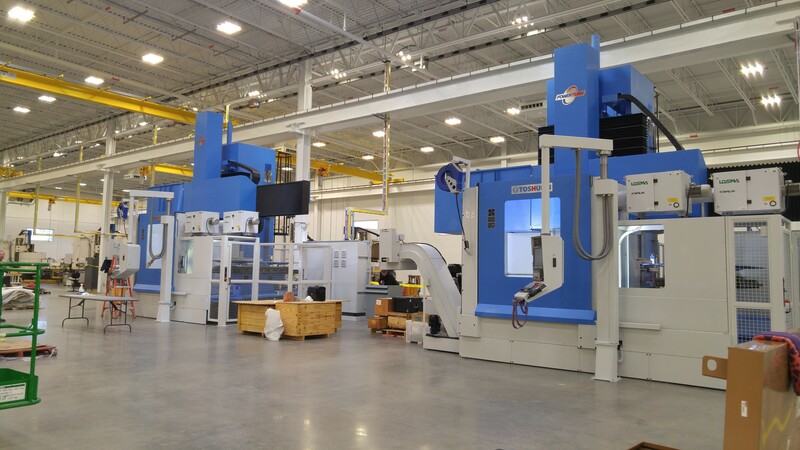 Flexibility with tooling, flexibility with HP and flexibility in providing complete machining solutions. The POWERTURN turning table incorporates an angular contact roller bearing for heavy weight carrying capacity and high table speed capabilities. 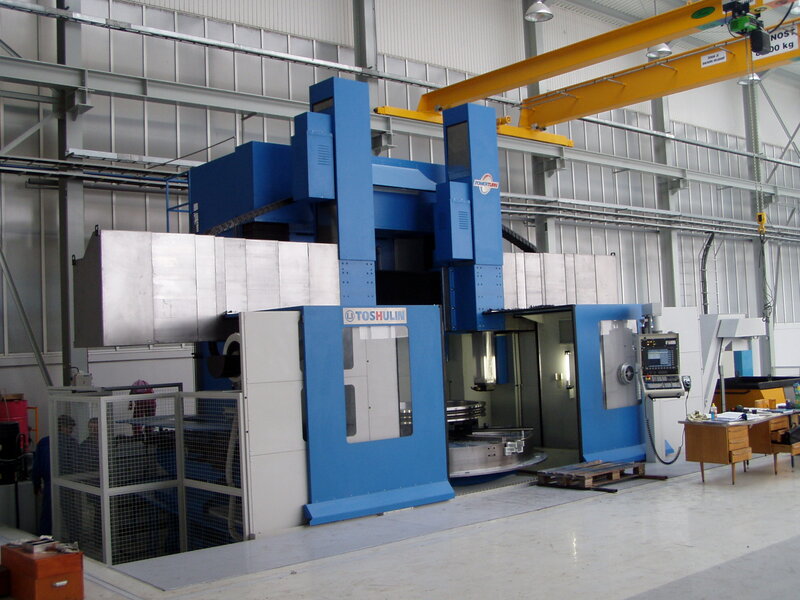 The use of box ways and its double column symmetrical head and ram design place it best in class for rough and finish turning requirements. The POWERTURN uses an advanced tool exchange method which allows the user a broad choice in the number of tools used (from 45 to 156 tools). 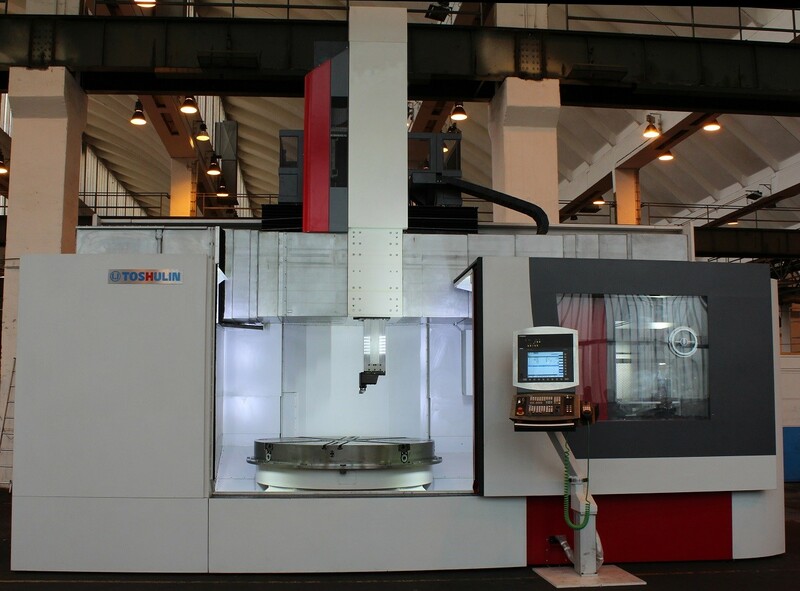 This machine can be equipped with a variety of tool types from holders for conventional tools (1.5" x 1.5"), to the automatic exchange of cutting heads, which could include 50 taper, HSK, Kennametal KM or Sandvik CAPTO. 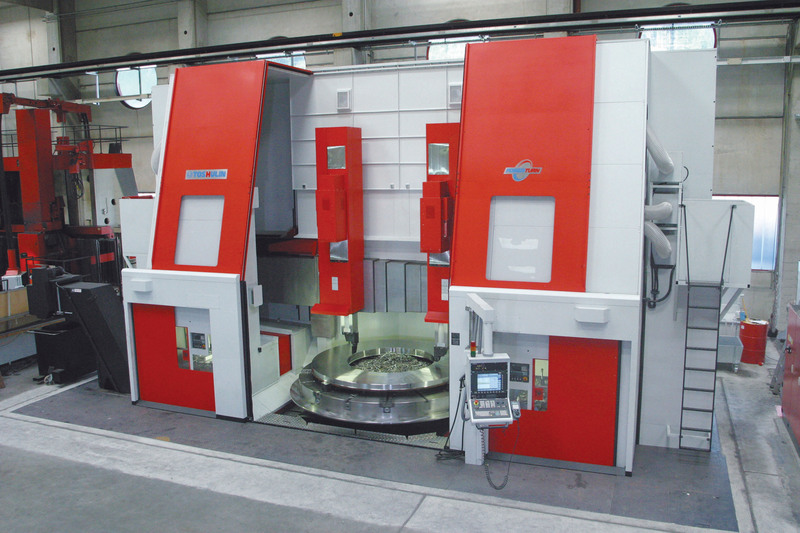 This machine can also be equipped with a live milling and drilling spindle with the same tooling options to further broaden its capabilities.